There’s a real love for US performer Rodriguez particularly in South Africa, where’s he’s a bonafide superstar. 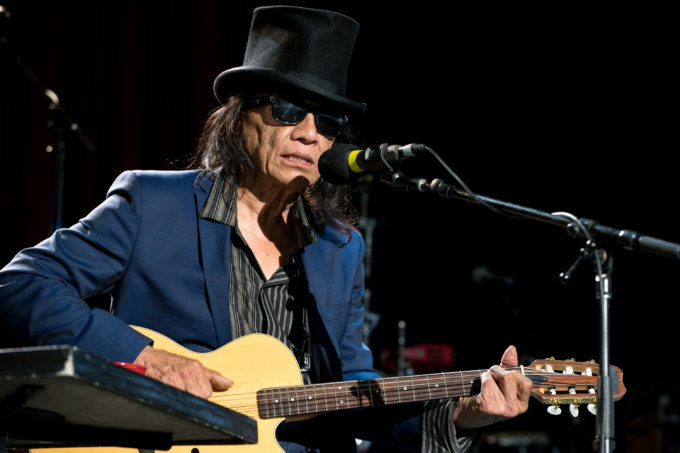 So there’ll be plenty of excitement surrounding this morning’s announcement that the performer (aka Sugar Man) will return to our shores in November and December this year for a run of live shows across the country, including an A Day On The Green event at Bimbadgen Wines in the NSW Hunter Valley. Aussie music legend Archie Roach, who’s confirmed the release of a new album entitled ‘Let Love Rule’ on September 23, will play the support role on all dates across the country, tickets for which are on sale on Thursday July 14 from 10am. (Presale for Frontier members kicks off two days earlier).